So far, the only evidence that Dr Canavero has produced is a picture of a monkey which appears to have had a head/body transplant, as well as a short video of a mouse moving around (despite significant impairments), which also appears to have a transplant (but how long did they live for? When Dr Canavero’s colleague Dr Xiaoping Ren of China’s Harbin Medical University carried out similar head transplants in mice in 2015 they all died within a few minutes of being revived after surgery). While the monkey “fully survived the procedure without any neurological injury of whatever kind”, according to Canavero, it was euthanized after 20 hours for “ethical reasons”. The media storm surrounding this story appears to play up to the researcher’s aims – to find financial backing to continue his research and then move it into humans. And so, it is worth reflecting at this juncture on the moral and ethical issues surrounding this controversial procedure. Let us assume for a moment that this procedure is in fact feasible. In the original studies by Robert White and Vladimir Demikov, it was made clear that these experiments were lethal for the animal. Simply put, while the head of the animal was capable of “seeing, hearing, tasting, smelling”; none of the other regulatory processes were intact (e.g. breathing) as there was no control over the donor body. Furthermore, like many tissue transplants, rejection of the donor body from the immune system is a large possibility, immunorejection was after all the cause of death in the monkey whose head Dr White transplanted in 2001. Indeed, Canavero has yet to demonstrate any kind of proof of principle with regeneration of nervous tissue with any meaningful metric of control of the donor body. These remarks by Canavero are somewhat naive as both gene therapy and stem cell therapy have made substantial advances in recent years, with many therapies now in clinical trials. Furthermore, the claim that “Tetraplegia can only be cured with this [head transplant]” flies in the face of evidence from recent successful animal and clinical trials on a variety of innovative therapies for paralysis, including epidural stimulation, intraspinal microstimulation, neuroprosthesis, and stem cell therapy. There have recently been a series of major advances in treating paralysis, including epidural stimulation. While there is mounting evidence from studies in rodents that the polyethylene glycol (PEG) implantation approach favored by Canavero may be able to promote repair of injured spinal cord and recovery of motor function in paralyzed limbs, his casual dismissal of the work of other scientists – while often simultaneously citing their work in support of his own approach – exemplifies his arrogance. He would be better off lending his expertise to the work of others who are exploring the potential for PEG in spinal cord repair, work that has the potential to benefit millions of people, but instead appears set on a self-aggrandizing PR campaign in support of an approach that if successful – which seems highly unlikely even if the surgery is a technical success – can only benefit a tiny number of people…potentially at the cost of depriving many other transplant patients of much needed organs. The reality, however, remains that the procedure exposes the patient (be it mouse, monkey or human) to far greater risks compared to the potential benefits. Indeed, these experiments would never be approved in countries which have strict review criteria, with a clear harm/benefit analysis needing to be performed before such a study is given approval. In these circumstances, the news that leading experts in animal research in China are currently undertaking a major revision to the country’s national regulation on the management of laboratory animals is timely. But these issues are not unknown to Dr. Canavero. Indeed, as can be seen here (scroll to see response), and in what can only be described as derision and a willful skirting of the law, Dr. Canavero remains set to push forward with his ideas regardless of the consequences. For these reasons we have the gravest of reservations about the course being followed by Dr. Canavero and his colleagues, and call on them to halt this research until a full independent review of the scientific evidence and impact on potential patients can be undertaken. The opinions expressed here are our own and do not necessarily reflect the interests of the the University of Bern or the Division of Animal Welfare at the University of Bern. 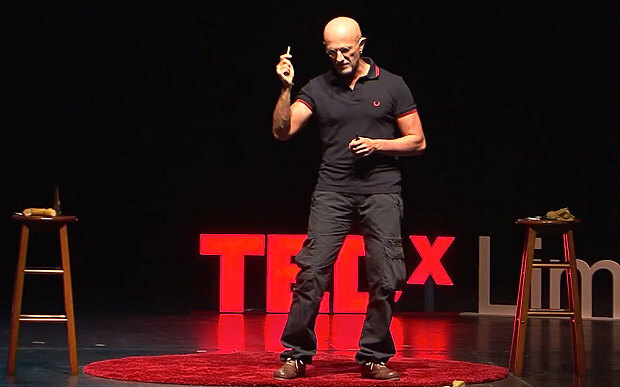 Posted on January 22, 2016 January 22, 2016 by EditorPosted in News, Philosophy, Science NewsTagged animal research, animal testing, GEMINI, head transplant, HEAVEN, monkey, Sergio Canavero. This is a great question, Antonio. While I cannot provide you with a good answer, I would like to point out that this was a quotation directly from Dr. Robert White. Unfortunately, Dr. White passed away in 2010, so a clarification of his statement is not possible. Uuuum, question how could the monkey smell normally with out breathing? That completely contradicts itself?